1948 Packard Heaney owned by Dave Clement. 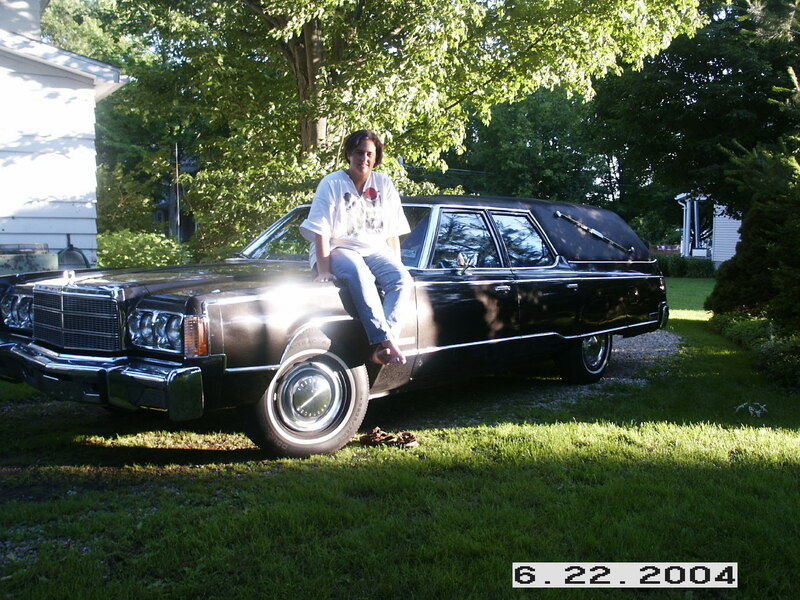 1975 Cadillac Superior owned by Joe . 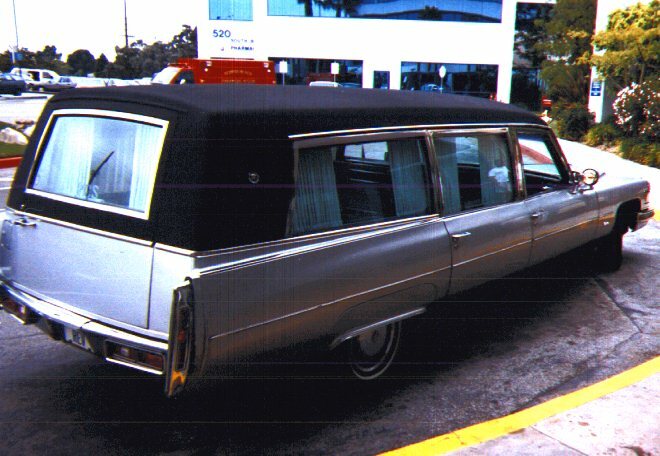 1977 Cadillac end loader owned by "The Hearse Sisters". 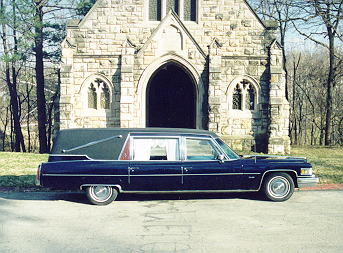 1970 Cadillac S&S Victoria owned by Clark Dowling. 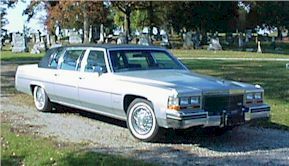 1978 Cadillac Miller-Meteor endloader owned by Mike Helphinstine. 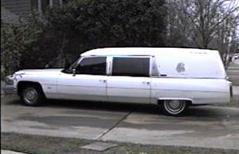 1975 Cadillac Superior endloader owned by Stacy "Big Daddy" Daugherty . 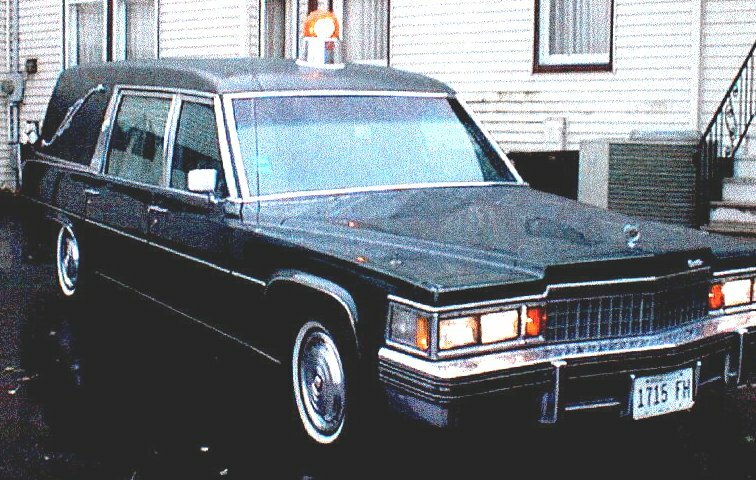 Combination Hearse/Ambulance owned by Jim Brunner. 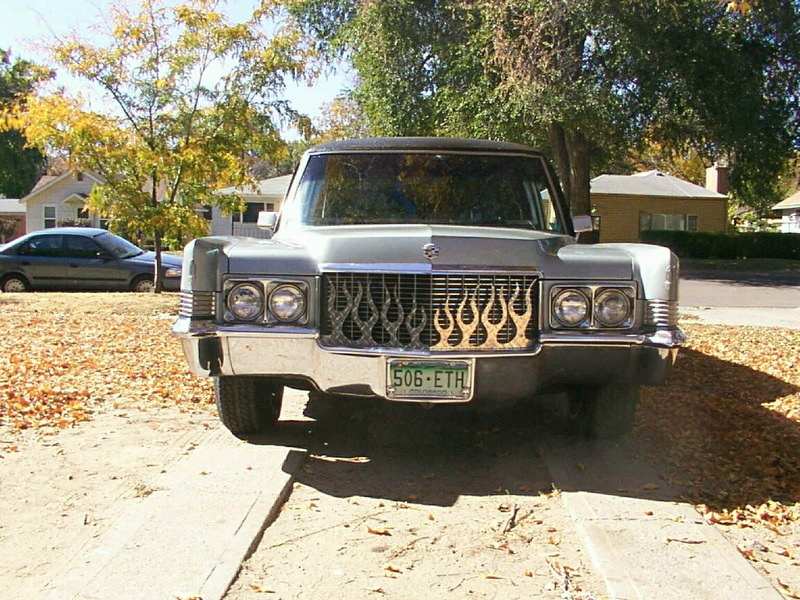 1974 Cadillac Miller-Meteor owned by John McCoy. 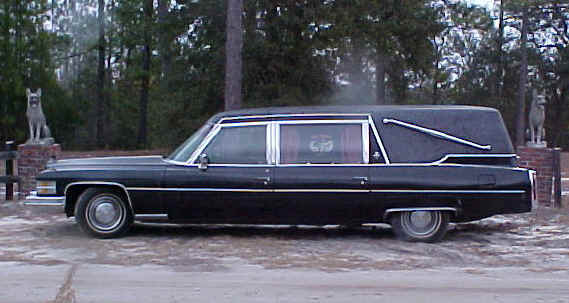 1977 Chevrolet Impala "Grave Lightning" owned by John Gilis from Belgium. 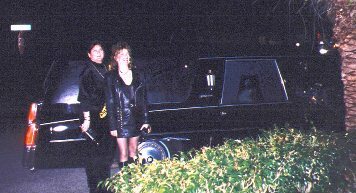 It features a chromed 350 ci engine, purple flashing neon on the undercarriage and purple velvet interior. 1950 Pontiac owned by Ron Mestauskas. Bought by the Whitewater WI. Volunteer FD in 1954, it was painted red and used as a spare ambulance. 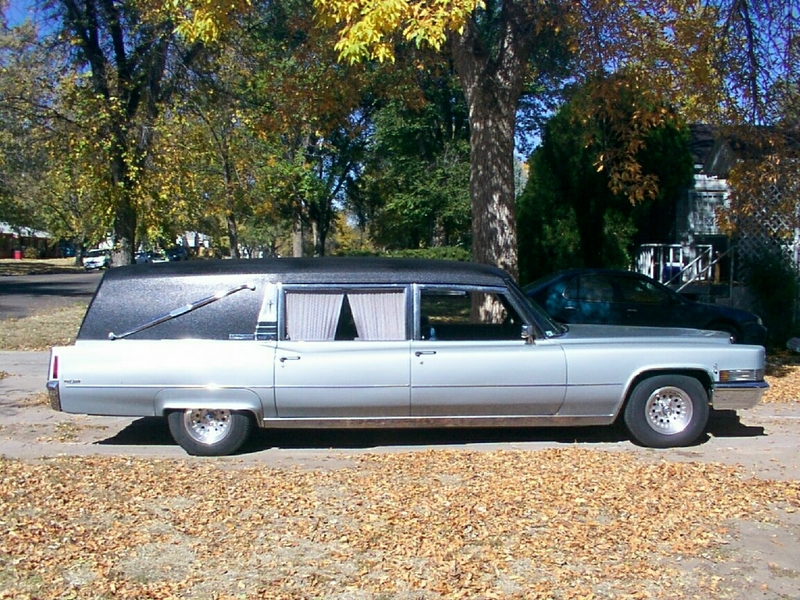 Ron bought it in original condition with just over 30,000 miles on the odometer. It was used in filming of the movie "A Stranger in The Kingdom". 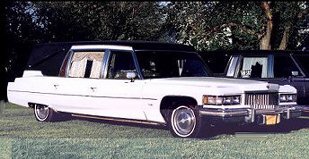 1983 Cadillac Fleetwood Limo owned by Ken Mitchell. 1968 Cadillac M&M end loader owned by Brian Blair. 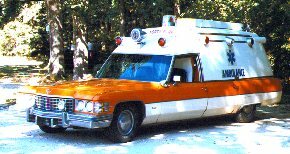 1974 Cadillac Miller - Meteor Criterion ambulance owned by Barry Caselli. "The Beast". 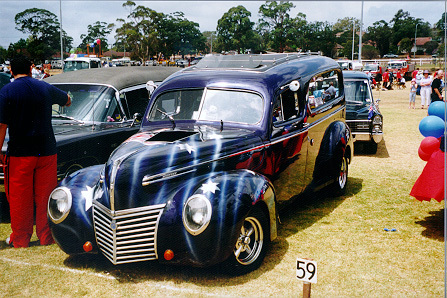 1939 Mercury built by Steven ,Vaughan & Kyle Greentree of Australia in memory of Sandra Louise, beloved wife and mother. 1970 Cadillac M&M End Loader owned by Kevin Schemp. 1974 Cadillac Superior Rear Loader owned by Wahoo. 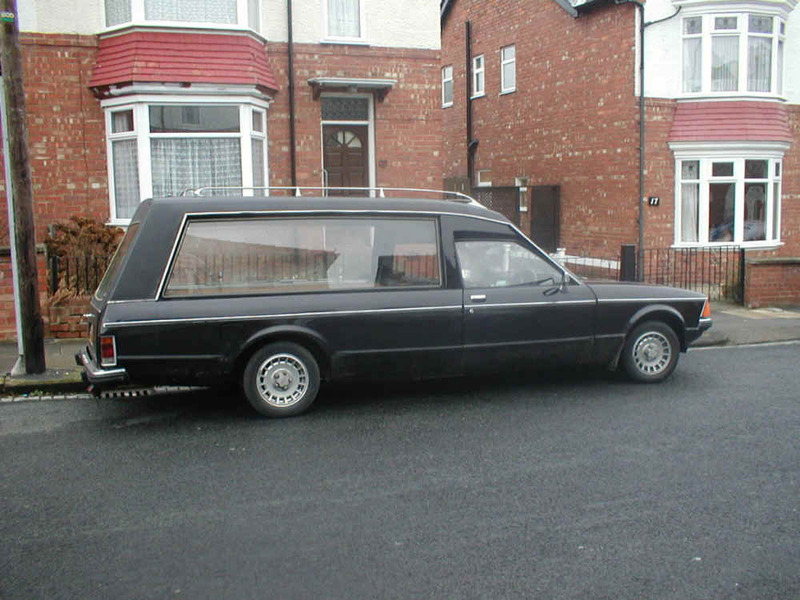 1979 mk2 Granada built by Coleman Milne coachbuilders (England) owned by Andy B (member of Classic Hearse Register) UK. Named BELLE MORTE (French for Beautiful Death).